Following the unveil of Pakistani plans to secure constitutional status to the Gilgit Baltistan region, media and local activists warn that this might not be a simple gesture of goodwill. China’s concerns over the success of the China-Pakistan Economic Corridor, which involves the construction of a road passing through the disputed region, are said to be behind Pakistan’s move. 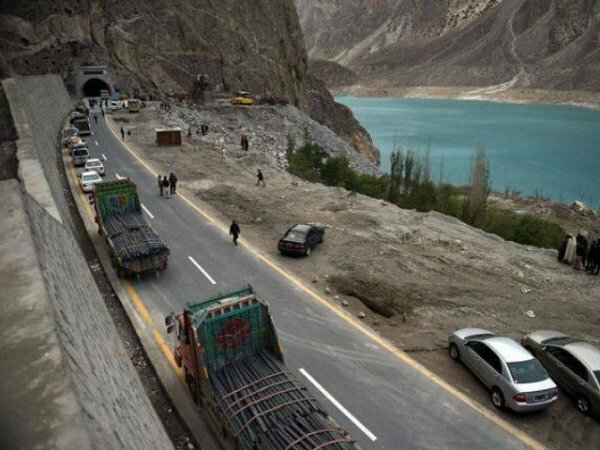 The Gilgit-Baltistan Democratic Alliance cautions that this could be a mere legal cover to back the Pakistani intention to sell its resources to China. The government is considering a proposal to upgrade the status of Gilgit-Baltistan into a constitutional province or a “provisional province”, according to a member of the region’s cabinet. Ibrahim Sanai, the information minister, told Dawn on Thursday [7 January 2016] that a committee had already started deliberations on the proposal. Sartaj Aziz, the Adviser on Foreign Affairs, heads the panel. A meeting of Gilgit-Baltistan’s constitution committee is expected to be held on Jan 14 to decide whether the region should be made a constitutional province or a “provisional province”. Officials said the move was in response to concerns raised by Beijing about the China-Pakistan Economic Corridor. “China cannot afford to invest billions of dollars on a road that passes through a disputed territory claimed both by India and Pakistan,” the official said. The corridor plans have been strongly criticised by New Delhi, with Indian Foreign Minister Sushma Swaraj calling the project “unacceptable” as it would cross through territory claimed by India. The proposal would grant Gilgit-Baltistan greater legislative powers and control of its revenue, as well as send two lawmakers to parliament for the first time — albeit as observers. But according to analyst Ayesha Siddiqa, the move could also demonstrate Islamabad’s desire to end the Kashmir conflict by formally absorbing the territory it controls — and, by extension, recognising New Delhi’s claims to parts of the region it controls, such as the Kashmir Valley. “If we begin to absorb it so can India. It legitimises their absorption of the valley,” she said. Mohan Guruswamy, head of the New Delhi-based think tank Centre for Policy Alternatives, said despite its avowed claim over G-B, the Indian government may not react strongly. “There will be some noise in India, but the country has never shown a political consensus to take back those areas from Pakistan,” he added. “This step is basically to formalise the incorporation of areas under Pakistani rule. Probably a good step as it may lead to the permanent settlement of the Kashmir issue with both countries content with what they currently have under their rule.” The ambiguous legal status of Gilgit-Baltistan has meant that it has relatively little say in its own affairs and was directly ruled from Islamabad, despite the pretence of autonomy. But Amanullah Khan, chairman of the nationalist Gilgit-Baltistan Democratic Alliance, said Islamabad was attempting to pass legislation that would allow it to plunder the region’s resources. “The real motive behind the move is to provide a legal cover to the Pakistani plans of leasing out the region to China and selling its natural resources like gold and uranium,” he said.